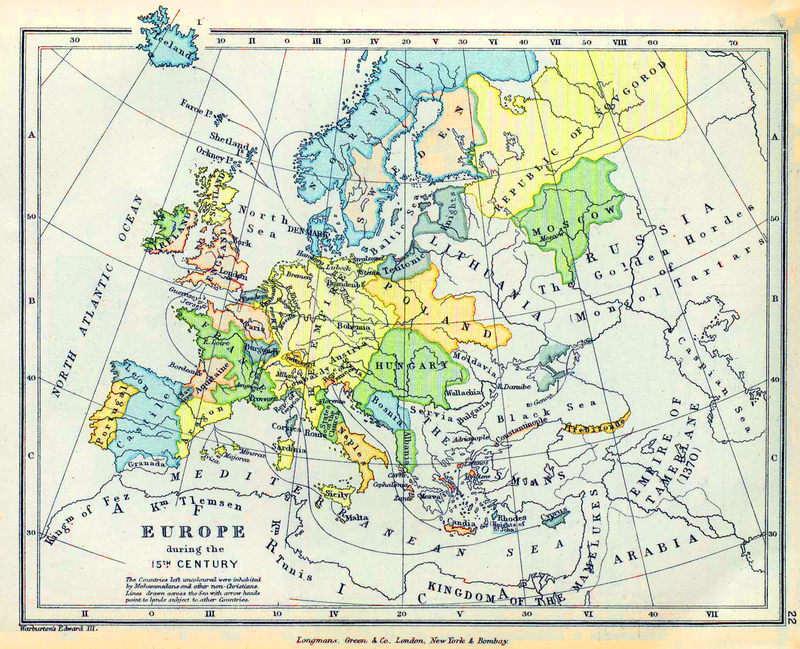 Historical Map of Europe During the 15th Century. The countries left uncolored were inhabited by Mohammedans and other non-Christians. 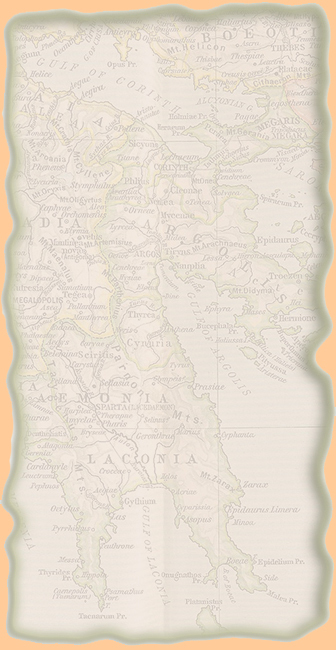 Lines drawn across the Sea with arrow heads point to lands subject to other countries.